As the controversy over the ownership of N310 million allegedly stolen from the Maitama home of the Senate President, Bukola Saraki gathers storm, the Department of State Security Service, DSS, Sunday night cleared him of any culpability, Vanguard Newspaper reports. 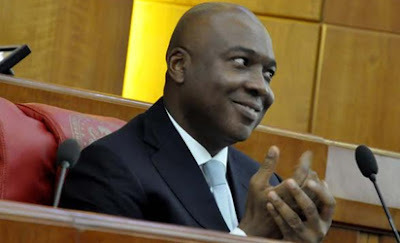 The DSS said in clear terms that the cash did not belong to Saraki or any member of the National Assembly and accused its dismissed staff, who is now standing trial for armed robbery, Abdulrasheed Maigari, of trying to fabricate a lie for a hidden motive. It will be recalled that Maigari, a former DSS operative, had said that he and others connived to steal the huge cash from the Senate President’s home when they were working as security operatives in his house.